Our service area covers a 100 mile radius including Northern New Jersey, Eastern Pennsylvania, and the Southern tier of New York State. 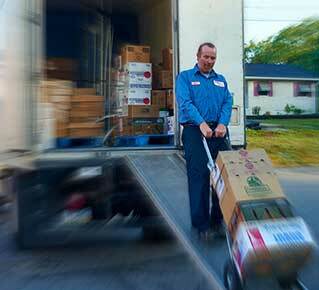 We know that having the best drivers in the business is what sets distributors apart. Our drivers have been recognized for their years of safe driving and their willingness to go above and beyond for our customers. We welcome all of our customers, both current and future, to tour our facility and see the difference. As an independently owned, family run, broad line distributor, each employee is dedicated to your success. Without our customers, we wouldn’t be in business. 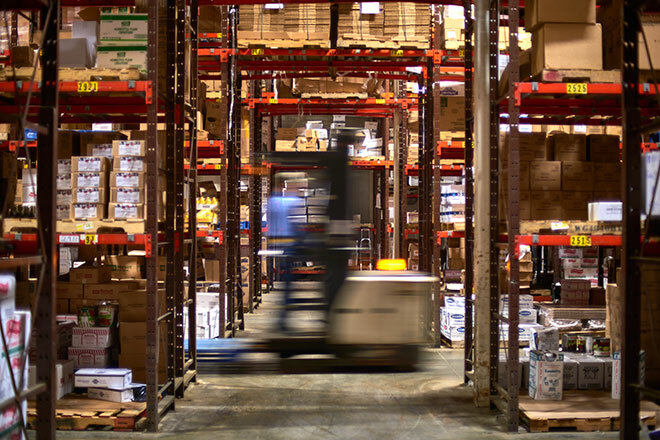 Our distribution facility is divided into dry, refrigerated and freezer categories. Our overall goal is to deliver operational excellence to our customers. This goal is evident by our USDA inspected meat cutting facility. 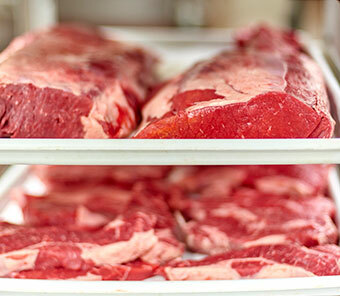 Our in-house, USDA inspected meat cutting facility can help you eliminate waste and reduce your labor costs. We simply do it better with fresh cut portion controlled meats and custom marinations, delivered to you the next day.